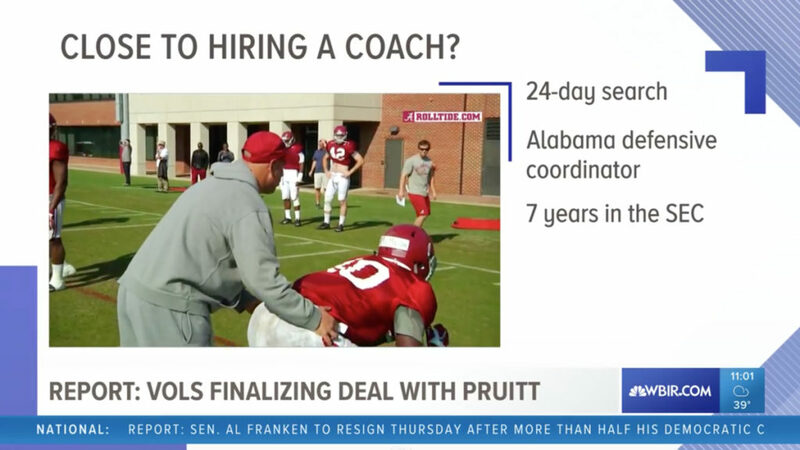 Tegna soft-launched its forthcoming motion graphics package upgrade this week in Knoxville, Tennessee, previewing a look that will rollout group-wide in 2018. 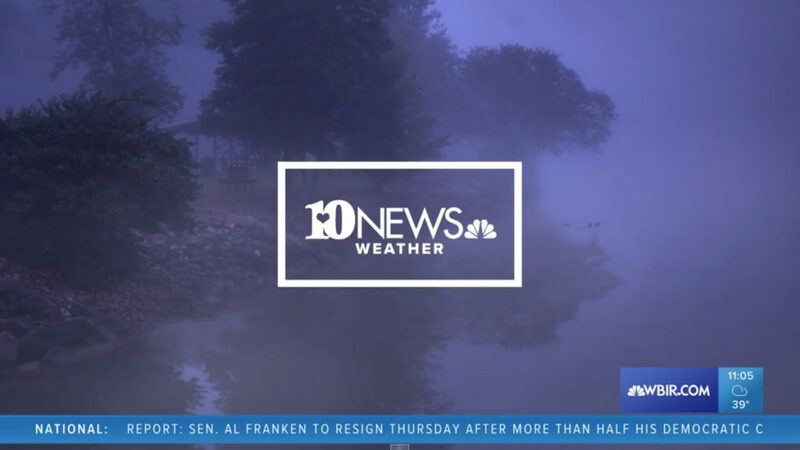 While not the final implementation, the package at WBIR 10 News moves the station group in a different direction visually, using flat design with still imagery, pops of color and white space. Station sources tell NewscastStudio the look will be rolled out among other Tegna stations in the coming months with additional elements and refinements. From Troika, the new graphics combine a blend of violets and blues with white and grays, matching the recently updated Tegna website design. Instead of metallics and 3D elements, the new look instead relies on a diagonal texture and a mix of thin and thick outlines. 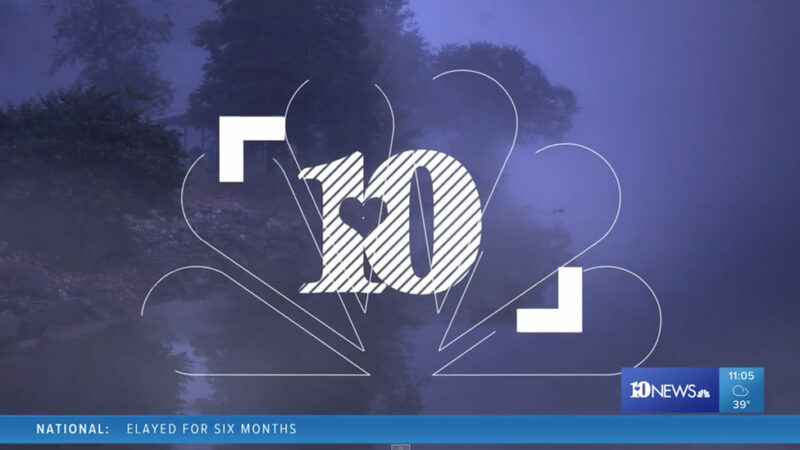 In the weather open, for example, WBIR’s logo appears on screen in white rendered in thick diagonal lines — with the NBC peacock appearing in a thin white outline behind it. The full logo, meanwhile, appears, once again in a white knockout, inside of a thick rectangle. The scale of the logo is slightly on the smaller side, giving the look a more elegant and modern look and feel. 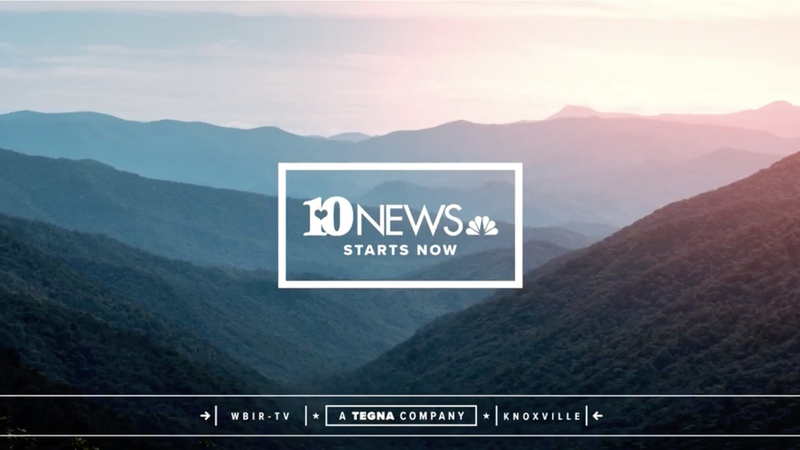 Elements of WBIR’s new look include rectangles with subtle gradients as lower third insert graphics. The station’s logo and website address share a space in the deep blue-purple rectangular bug element with the time, temperature and weather icon appearing to the right in a lighter blue square. 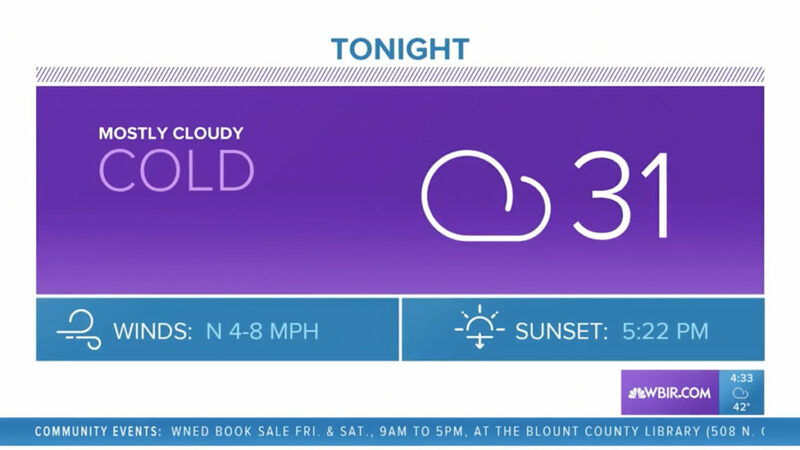 Other elements switch to a white background but keeps the bold splashes of color through the use of large rectangular boxes in violet and blue, most notably in some of the station’s weather graphics. The diagonal texture is also incorporated into this look as a separator line — while the weather icons go ultra simple. The new look also sheds the look’s previous font in favor of Proxima Nova, with Proxima Nova Condensed for lower thirds. 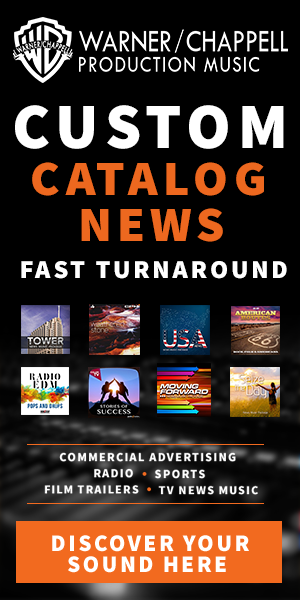 Tegna, previously Gannett, rolled out the current group look in 2013 alongside a refreshed news music package and image campaign, known as “This is Home,” from Warner/Chappell Production Music. The full rollout of the new design is expected in time for February’s marquee sporting events, such as the Super Bowl and Olympics, at many of Tegna’s NBC affiliates. New music will also accompany the final motion graphics package.